I always hate it when I go to put something in the trash only to pause and say, “Hum, can it even go in here?” Lightbulbs are one of those things. 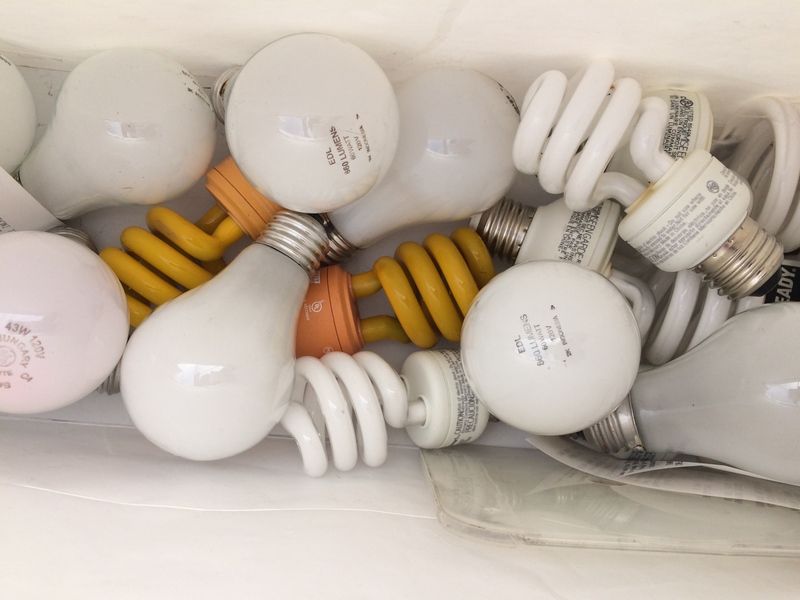 We all know that CFLs have mercury in them and do require proper disposal. There also are halogen, incandescent and LED lightbulbs, and it’s hard to remember how to dispense of each of them safely. I save mine for when I am going to IKEA as they offer recycling for a variety of things, including lightbulbs, batteries, cardboard, glass and metal. 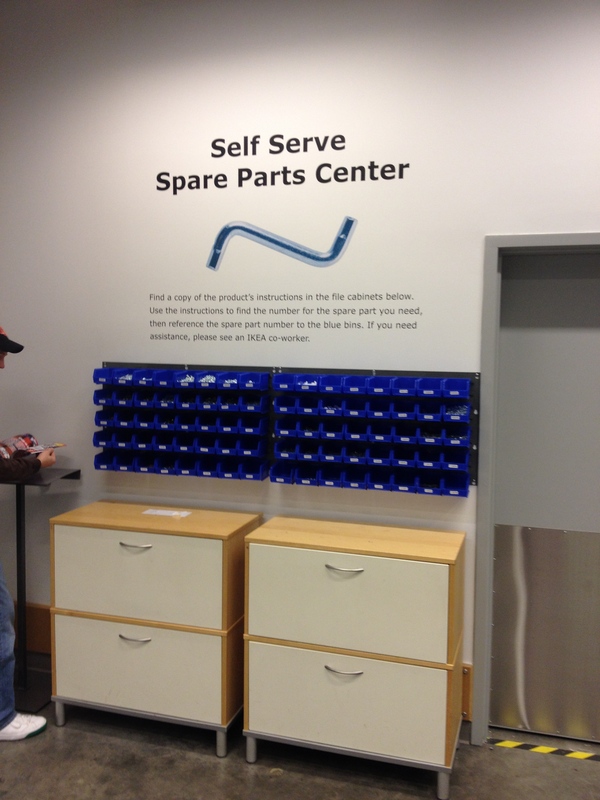 You can also recycle any stray IKEA parts at the store too as they offer a place to pick up free parts. 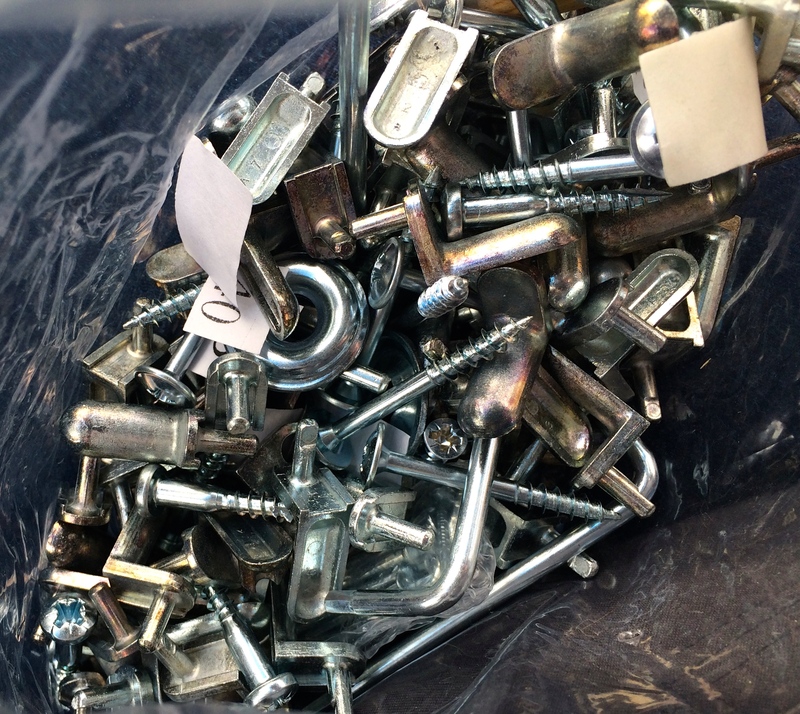 That means I no longer need to keep my wide variety of allen wrenches, bolts and those straps to attach things to the wall. What a great idea! Some of my IKEA parts I brought in to donate. I had 10 years worth of extra parts to donate. 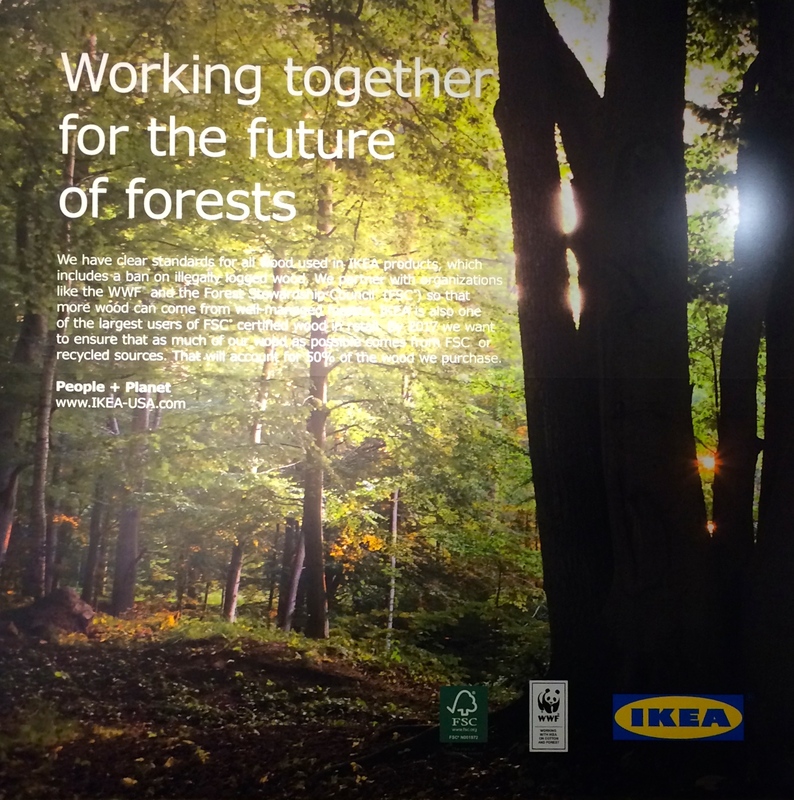 IKEA is making an effort to become more sustainable. Check out this section of their website for more details. In Portland they also offer free wi-fi in the store, 2 spots for recharging electric vehicles, they are LEED certified with a roof covered in solar panels and they offer a $10 discount for delivery to IKEA Family members who ride the Max…and the list goes on. Check your local store to confirm which services and features they offer. IKEA will be offering vegan “meatballs” come April 2015. So think of what you need to gather up as you head out to IKEA next time. 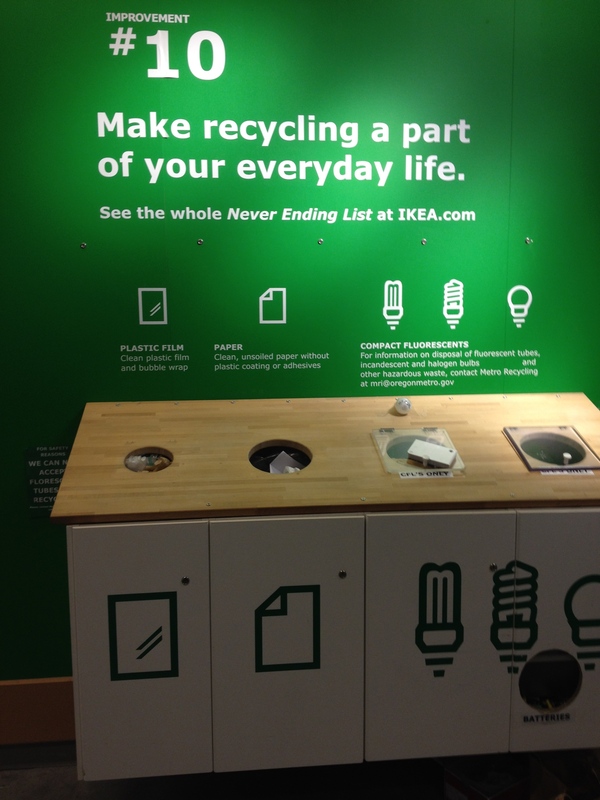 Take your items for recycling, your IKEA parts for sharing and your hunger! If you liked this post, please consider “following” my blog via the front page. By following, you will be notified when a new blog goes up. Your email is never shared with anyone. Nice article- thanks for this! I go to Ikea from time to time and had no idea they had a recycling program.